Elenco®s Snap Circuits® makes learning electronics easy and fun! With its easy-to-follow instructions, Snap Circuits® gives your child a hands-on education to discover how electrical circuits — like those found in everyday devices kids are familiar with — function and operate. All parts are mounted on plastic modules and snap together with ease. Enjoy hours of educational fun while learning about electronics. No tools required. Uses AA batteries. Note: Students who have taken our previous Electricity and Circuitry Foundations course will find this new course fun and engaging. Explore the basics of electricity and making circuits. Learn how electricity and magnetism can be used to make each other, learn about magnetic fields, how the electricity in your home works, how switches control the electricity to the lights in your home, and how series and parallel circuits affect electricity. 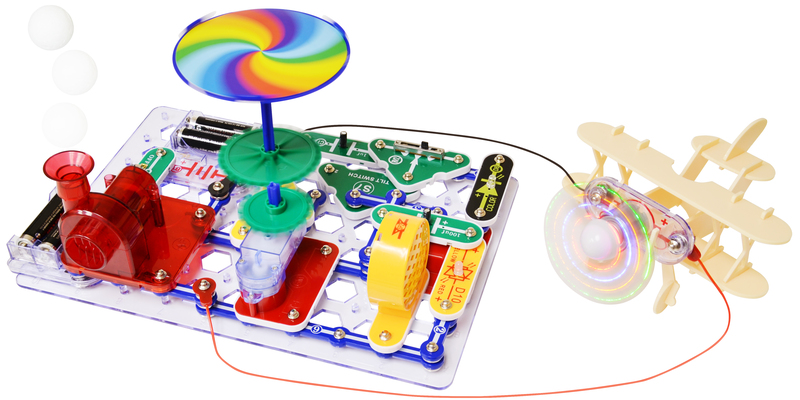 Build simple circuits with lights and sounds using Elenco’s Snap Circuits Kits. Projects include: a strobe light with music, a color changing lighted fan, an air fountain, a motion detector, a mini car, a crawler, and an airplane. 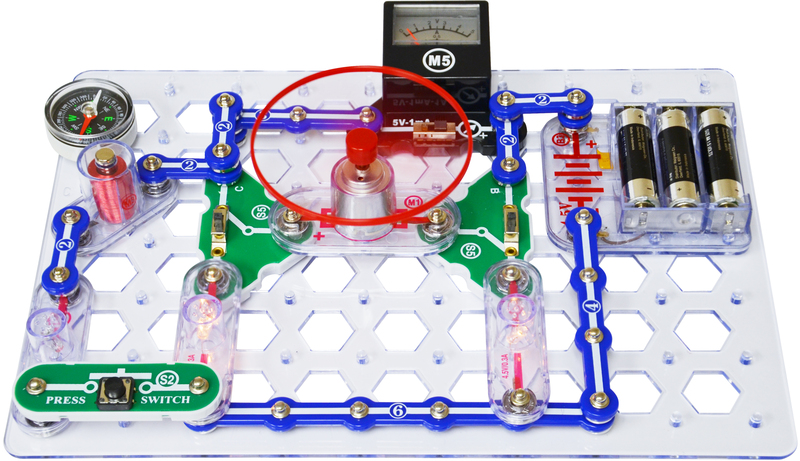 The Elenco Snap Circuits® Motion and Snaptricity® kits will be shipped directly to the student in August. Copyright © 2008 - 2019	My Tech High, Inc.